I've said it before, and I will repeat it here: there is nothing more boring than a drums solo. Or is there? Well, not always. Some percussion magicians can keep your attention going through a solo. Hamid Drake is such a magician, as is Andrea Centazzo, and several more, but often, it's a show-off moment of pyrotechnics without real musical interest. Still, solo percussion albums, or percussion only albums are still being produced and released. Here is an overview of the latest batches. The first album in the series was curated by TJ Goode, and offers a great list of some of today's finest drummers, mostly from the US, including Paul Kikuchi, Greg Burrows, Nathan Hubbard, Paolo Sanna, Tim Daisy, Curtis Glatter, Colin Woodford, Ted Byrnes, Frank Rosaly and TJ Goode himself. And I must say it is a very entertaining album, with a variety of approaches, some including edits or with electronics in support, as with TJ Goode's own "Valerian". Woodford's piece offers an unrelenting fireworks of cymbal sounds, Ted Byrnes brings minimal nervous little sounds, Frank Rosaly an endless clattering of wood, skin and metal over grooving shifting rhythms, Tim Daisy a high energy roller-coaster, etc. It's not the kind of music I will reach for often, yet it is fun, even for non-drummers. Hamid Drake is probably the only drummer to whom I will keep listening, even if he played for a full day on his own. Here he is joined by Jesse Stewart, award-winning percussionist and composer. This is not your usual kind of album. 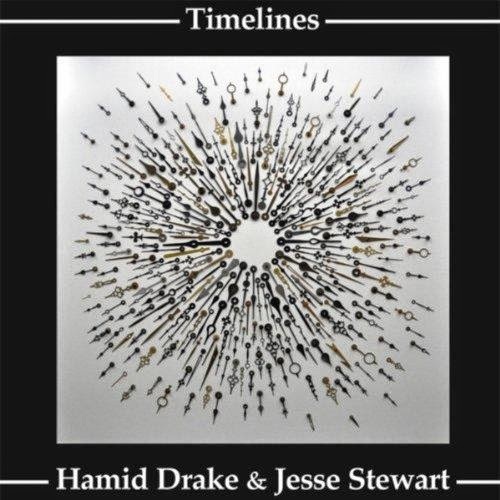 Hamid Drake sings, and uses his frame drum, in the kind of shamanistic incantation that we know from several of his other albums. The other tracks are mainly percussion duets, as you can expect, with a strong groundfeeling of deeply rooted polyrhythmic tribal rhythms, while adding complexities to the set approach. On some tracks, such as "Different Hats", Drake plays some bamboo flute, but more to set the scene for a fascinating duet on hi-hat only, that starts quietly, then gets increasingly and maddeningly energetic. Some tracks, such as "Low Blow" stay in the tribal context, with frame drum and a didgeridoo-like rhythmic blowing, but it becomes really interesting on the long "Drum Nerds" where both drummers use their full kit. It's an album with a variety of stylistic approaches, making it quite rich for a percussion duet. "Five American Percussion Pieces" is a little more varied, primarily because we get to hear composed percussion pieces, performed by William Winant and by an ensemble of percussionists. No drums this time, but small percussion and bells. The first track is composed by Lou Harrison and is performed by Daniel Kennedy, David Rosenthal, Todd Manley and William Winant, on instruments such as glasses, wood blocks, rattles, cowbells, wind chimes .... and drums. It is strange, with a kind of marching band beat to it, with hypnotic repetitions and dramatic, almost theatrical effects, with deep sounds and bells starkly contrasting. It is followed by a performance by Winant on four metallophones, resulting in a long chime-like sonic flow, with little subtle changes moving the composition forward. on "Bang Boom Excerpt", composed by Alvin Curran, Winant plays 13 tuned cowbells. The track is short, and quite mesmerising. 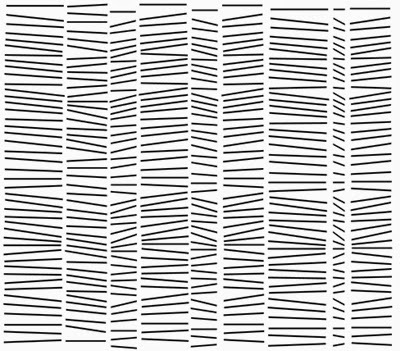 The next composition, called "Having Never Written A Note For Percussion", consists of a long swelling of sound, with a paroxysm of volume in the middle part, then a slowing down again into silence. The album ends with "Solo For Anthony Sirone" on which Winant plays tenor bells. It has a quiet, beautiful African-sounding melody to it, even if the overall atmosphere is quite zen. 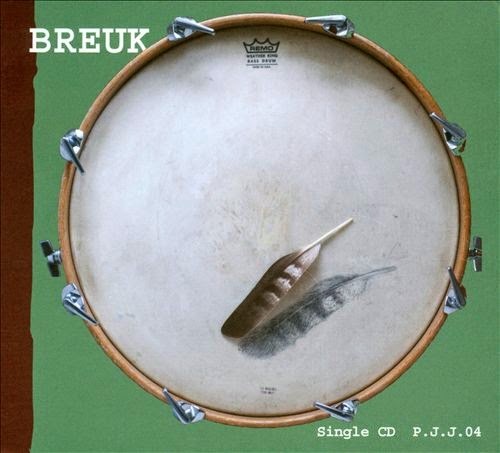 Swedish drummer Peeter Uuskyla is probably best known for his collaborations with Peter Brötzmann, and not surprisingly his style and musical vision is well-matched to the ferocity of the German saxophonist. On "Daydreaming Nerves", Uuskyla offers us a real treat, with sixty minutes of drums solo, with the exception of the opening and closting track, both called "The Dream", in which he also plays some piano. The other tracks, or close to ninety percent of the music, is unadultered drumming, with no dubs, no edits, no other instruments than the drumkit. These three lengthy tracks are called "Nerves". And nervous it is, with agitated tension throughout, and in contrast to my usual feelings about drum solos, it works well here, because of the energy, the changes in mode, the subtleties and the hypnotic power that he conjures up. It is fascinating, it is captivating, and it is even the lengthy "Nerves 1", well over twenty minutes that is my favorite. 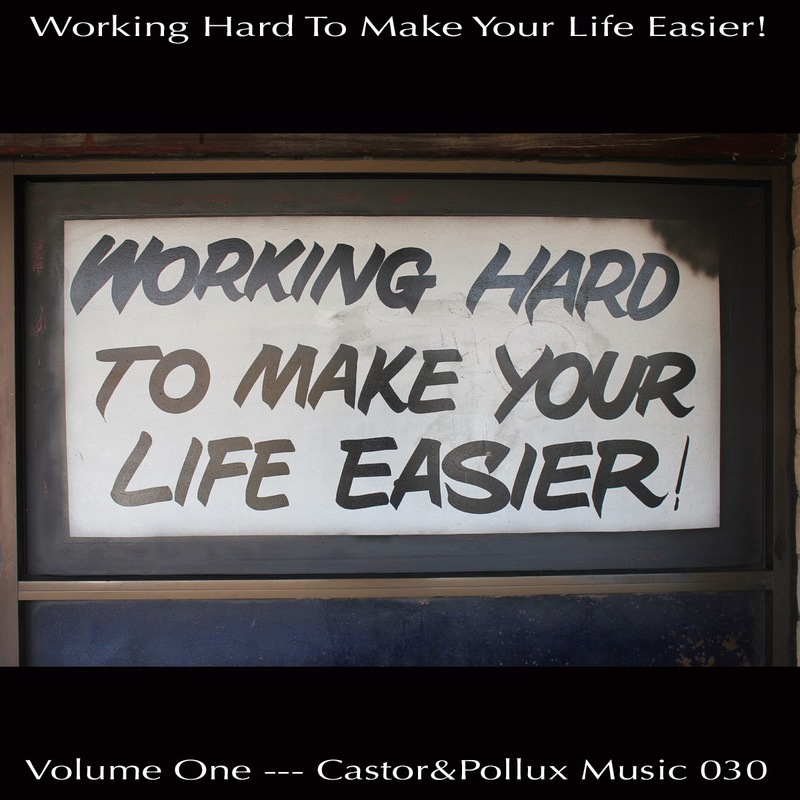 Dutch drummer Fred van Duijnhoven presents us this EP with approx. fifteen minutes worth of music, of which one is a song with Amber van Nieuwenburg singing a Burt Bacharach composition, and with Eugène Flören on marimba, who we find back on the last but one track. The other short tracks are played on drums, with lots of intensity, very crisp and snappy. It is strange in its shortness, bizarre in its overall mix of song and solo percussion. The rating given has more to do with the length than with the quality. 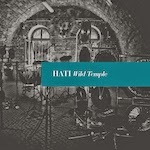 One of the most fascinating album in this list is "Wild Temple" by Hati, actually a Polish percussion duo, consisting of Rafał Iwański and Rafał Kołacki, who are joined here by Sławomir Ciesielski, the latter the drummer of the Polish rock band Republika. The "band" is interested in mixing ethnic instruments with handmade instruments and found objects, offering acoustic music that bridges ritual with meditation. The fact that they play as a trio, gives lots of possibilities for foundational themes, however abstract, giving structure and backbone to the sound, with very wild excursions into sonic landscapes, resonating deeply and even distantly in the studio where the album was recorded. The big difference with the other albums reviewed in this list, is the band's interest in creating an overall sound, or soundscape, instead of playing an instrument, and in that sense they are closer to for instance Andrea Centazzo in terms of approach. On "Things Fall Apart", we get a solo performance by Jason Kahn on drums, voice, metal objects, radio, mixing board, contact microphones, magnetic coil, speaker, computer, chairs and plastic bags, surely an interesting assortment of instruments, and as such not really a solo drums album, even if that's the most heard instrument. The title is inspired by the novel by the Nigerian author Chinua Achebe of the same title, and the album in this sense also is about the British drummer coming to grips with his country's colonial past in Africa. 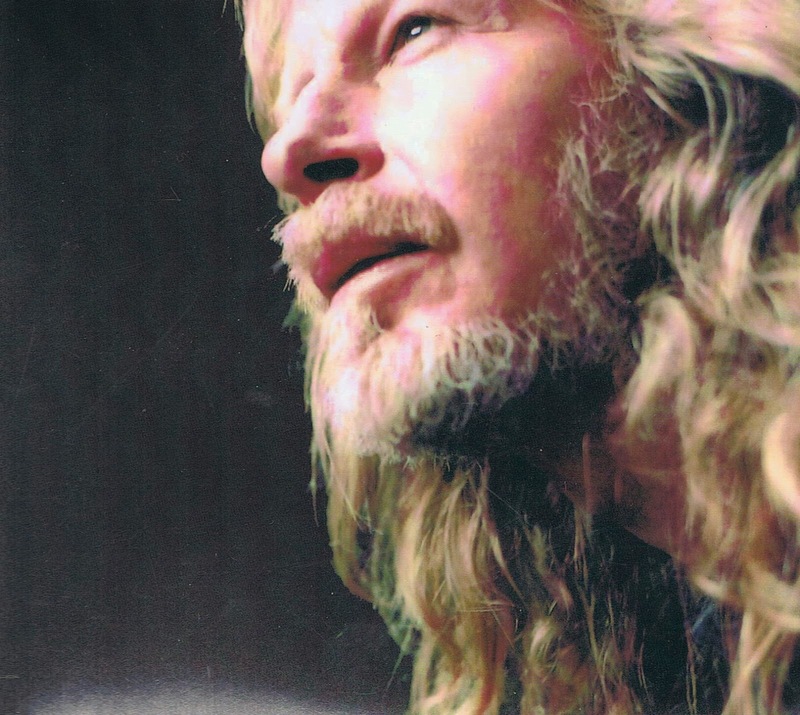 Kahn mixes pieces of noise of uncertain origin, with tracks with drumming only, which are often the best, even if I must admit that his shamanistic singing on "We Fall" moving into shouting on "Calling" and "Night" really pleased me too, somewhat reminding me of Norwegian drummer Terje Isungset. To be honest, I could have done without the "noise" tracks, yet I assume that's also part of the overall sonic exploration of the space in Zürich in which the performance took place. It is not ground-breaking, but it has its merits. In sum, even if not all albums reviewed here offer "pure" percussion only music, the drums is the core instrument, presented in all its variety for intended and non-intended use. My preference goes to the Polish trio because their approach is really innovative with a very coherent end result, even if drummers will be left wanting, and to Peeter Uuskyla, whose album will definitely not leave any drummers wanting.